These 12 announced temples bring the total number of operating temples (159) and temples announced or under construction (42) to 201 worldwide. The Concepción Chile Temple (October 28) and the Barranquilla Colombia Temple (December 9) are scheduled for dedication later this year. Eleven temples are being renovated, including the Asunción Paraguay Temple, Baton Rouge Louisiana Temple, Frankfurt Germany Temple, Hamilton New Zealand Temple, Memphis Tennessee Temple, Mesa Arizona Temple, Oakland California Temple, Oklahoma City Oklahoma Temple, Raleigh North Carolina Temple, Tokyo Japan Temple and Washington D.C. Temple. (Temples under renovation are considered operating temples.) The previous largest number of temples announced on a single day was April 1, 1981, when nine temples were announced. With seven temples announced during the April 2018 general conference, a total of 19 temples have been announced this year. When the Mendoza Argentina Temple is built and dedicated, Argentina will have four temples. The Buenos Aires Argentina Temple was dedicated in 1986, while the Córdoba Argentina Templewas dedicated in 2015. The Salta Argentina Temple was announced by President Nelson in April 2018. Argentina, a country of nearly 45 million residents, is home to nearly 459,000 Latter-day Saints. 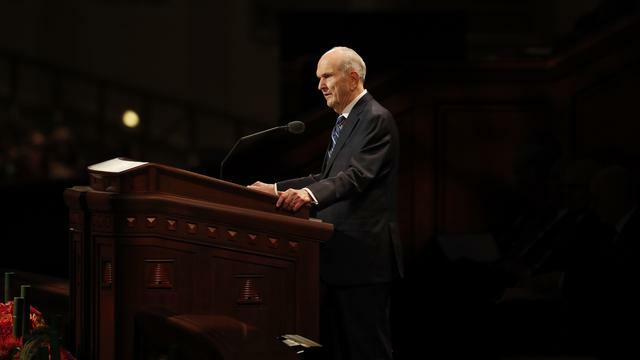 After the United States (6.7 million Latter-day Saints) and Mexico (1.45 million), Brazil is home to more members (1.39 million) of the Church than any other country. There are six operating temples in Brazil, located in Campinas, Curitiba, Manaus, Porto Alegre, Recife and São Paulo. Two temples are under construction (Fortaleza and Rio de Janeiro), and two others have been announced — in Belém and now Salvador. The Yuba City California Temple will be California’s eighth temple. The state’s other seven temples are in Fresno, Los Angeles, Newport Beach, Oakland (under renovation), Redlands, Sacramentoand San Diego. California is home to more than 760,000 Latter-day Saints and nearly 1,300 congregations. This will be Cambodia’s first Latter-day Saint temple and the ninth temple in Asia. More than 14,600 Latter-day Saints live in the Southeast Asian nation of more than 16 million people. This will be the first temple in Cape Verde, a set of islands located about 350 miles off the northwest coast of Africa. Some 14,700 Latter-day Saints live in this island nation of 539,000 people. This small island territory in the Western Pacific is less than half the size of the Salt Lake Valley and has a population of 166,000 people. Missionaries from the Church of Jesus Christ first arrived in 1957, and today there are more than 2,500 Latter-day Saints in Guam. This will be the territory’s first Latter-day Saint temple. This will be Mexico’s 14th temple. The country’s other 13 temples are in Ciudad Juárez, Colonia Juárez, Zapopan, Hermosillo, Mérida, Mexico City, Monterrey, Oaxaca, Ciudad Madero, Tijuana, Tuxtla Gutiérrez, Boca del Rio and Villahermosa. The country is home to nearly 1.5 million Latter-day Saints spread throughout almost 2,000 congregations. The Auckland New Zealand Temple will be the country’s second Latter-day Saint temple. The first temple, built in 1958 in Hamilton, closed in August 2018 for renovations. The Church has had a presence in New Zealand since the 1850s. Today, more than 114,000 Latter-day Saints live in the country. The Lagos Nigeria Temple will be the second temple in Nigeria and the ninth in Africa. There are temples currently operating in Aba, Nigeria; Johannesburg, South Africa; and Accra, Ghana. The Kinshasa Democratic Republic of the Congo Temple is scheduled to be dedicated April 14, 2019. The Durban South Africa Temple is under construction. Plans have been announced to build temples in Harare, Zimbabwe; Nairobi, Kenya; and Abidjan Ivory Coast (Côte d’Ivoire). Church membership in Africa has grown from a handful of members in the late 1970s to more than 611,000 Latter-day Saints today (including nearly 174,000 in Nigeria) in more than 2,000 congregations. With this announcement, the Philippines has six temples announced or dedicated, includingCebu City, Manila (2), Urdaneta and Cagayan de Oro. There are more than 780,000 Latter-day Saints in this country of more than 107 million people. This will be the first temple in Puerto Rico, a Caribbean island of more than 3 million residents and over 23,000 Latter-day Saints. The nearest temple to Puerto Rico is the Santo Domingo Dominican Republic Temple. This will be Washington County’s second temple; the other is in St. George, Utah. As the Church’s world headquarters, Utah has 2.1 million members of the Church in a state of 3.2 million people. 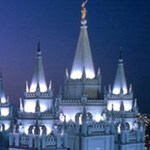 There are 17 operating temples in the state, including Bountiful, Brigham City, Cedar City, Draper,Logan, Jordan River, Manti, Monticello, Mount Timpanogos, Ogden, Oquirrh Mountain, Payson,Provo City Center, Provo, St. George, Salt Lake and Vernal. The Saratoga Springs Temple was announced at the April 2017 general conference, and the Layton Utah Temple was announced in April 2018. The new temple in Washington County will be Utah’s 20th Latter-day Saint temple. Latter-day Saints consider temples to be the “house of the Lord,” the most sacred places on the earth. Temples differ from the meetinghouses or chapels where all are welcome to attend Sunday worship services. In the temple, the teachings of Jesus Christ are reaffirmed throughmarriage, baptism and other ceremonies that unite families for eternity.